If you are planning a holiday in Renfrewshire then check out this selection of cottages, apartments and lodges that start from £250 or less for a week's stay*. With many prices starting from well under £250 a week, whether you are looking for a couples break, a family holiday or getaway for a group of friends, you will find some superb self catering cottages and apartments to rent in Renfrewshire. Check out the accommodation with prices from £250 a week or less, availability and book online direct from independent owners and leading holiday operators. * The £250 or less is a guide only. It is based on the accommodations stated week low price during the year. 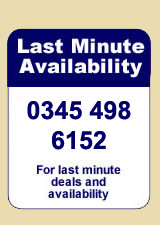 Therefore the price when booking will depend on time of year and availability. Prices are subject to change, the prices were correct when first published, you will receive an accurate self catering price when completing your booking details with the owner/operator/agent. We have 8 holiday cottages, apartments, lodges and bungalows listed in Renfrewshire with prices starting from £250 or less per week.